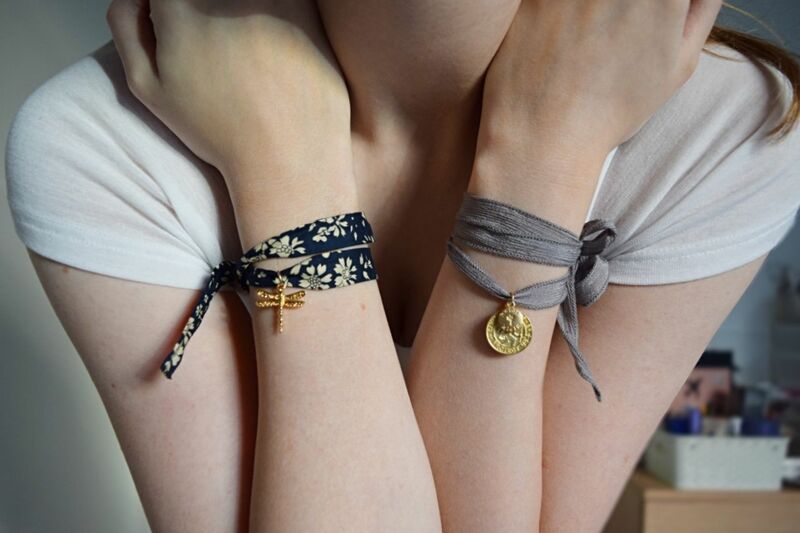 I know it’s a bit early, but this Spring/Summer I just know these wrap bracelets are going to be worn throughout! The concept is simple really, a piece of fabric and a charm or two. There are some really lovely ones out there and here I am wearing one I got for Christmas from Cinderela B in the lovely Liberty flower print and with a gold-plated dragonfly charm. Also a bracelet from heidi klein’s new collection, it has a grey fabric tie and a St Christopher charm. I really like the way the heidi klein one can wrap round a few times, they are just the easiest accessory and pretty much go with everything. I think this one would be beautiful on holiday. Whereas the Cinderela B one more for the city and again wear with anything! 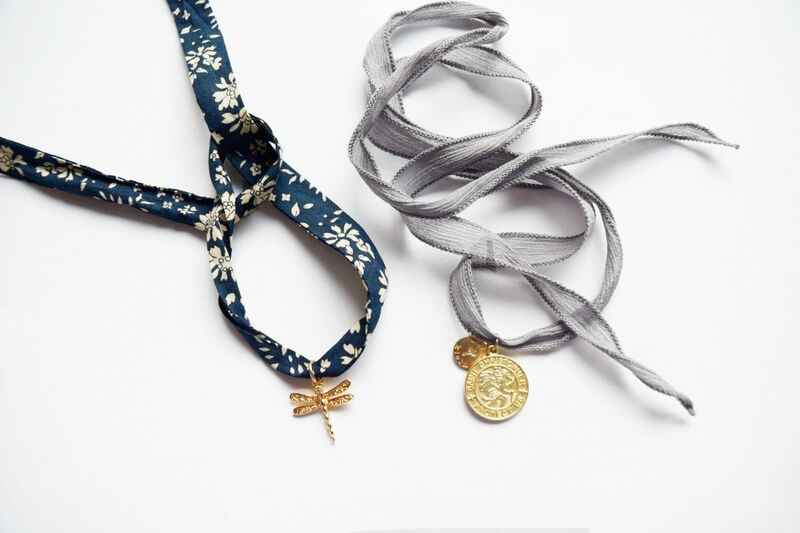 Why not even have a go at making one yourself, grab yourself some loose fabric and charms and you are set!